We provide a full complement of Regional and National carriers to fit your needs. Our Commitment to Excellence (CTE) is to exceed the industry standards in providing competitive pricing and excellent customer service. We understand that our clients’ needs vary; which is why we provide options for freight traveling throughout the US and Canada. Our dedicated team can provide you these same services via phone, email, and or monitor your shipment from origin to destination. Add insurance / guaranteed svc. LTL logistics is a term related to shipping freight that is less than a full truckload. Typically this is a load between 150lbs to 10,000lbs. Freight loads over 10,000 pounds are typically shipped using FTL or full truckload. The logistics behind LTL can be confusing and complicated behind the scenes. 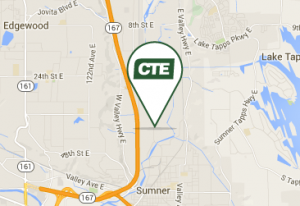 At CTE Logistics we make it easy. Our LTL services allow our clients to ship and then track their freight using our advanced software. Login and view your shipments in real time.